Home Free Shipping Nail Polish Summer Time Zoya Celebrate Summer! FREE Sunshine or Summertime Collection w/ Purchase of Color Lock System, PLUS FREE SHIPPING!! Celebrate Summer! FREE Sunshine or Summertime Collection w/ Purchase of Color Lock System, PLUS FREE SHIPPING!! The Zoya Color Lock System -Everything you need to keep your nail polish on and beautiful! 5 easy steps! It includes the award winningRemove + (3-in-1 Polish Remover), Zoya Anchor (Base Coat), Zoya Get Even (Ridge Filling Base Coat), Zoya Armor (Top Coat), Zoya Fast Drops(Speed Dryer) and Zoya Renew(Revitalizing drops for polish). This special offer includes free* shipping and your choice of Sunshine or Summertime Collections**! *Online only, cannot be combined with any other offer, promotion or coupon. US ONLY. ENDS Tuesday June 28, 2011at 11:59 PM EST. 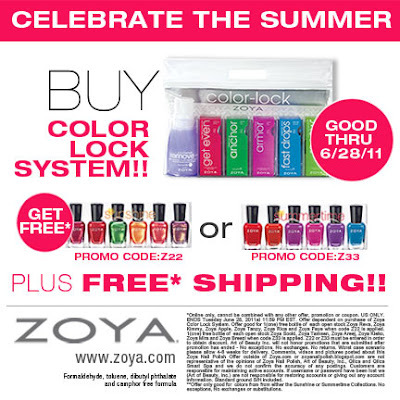 Offer dependent on purchase of Zoya Color Lock System. 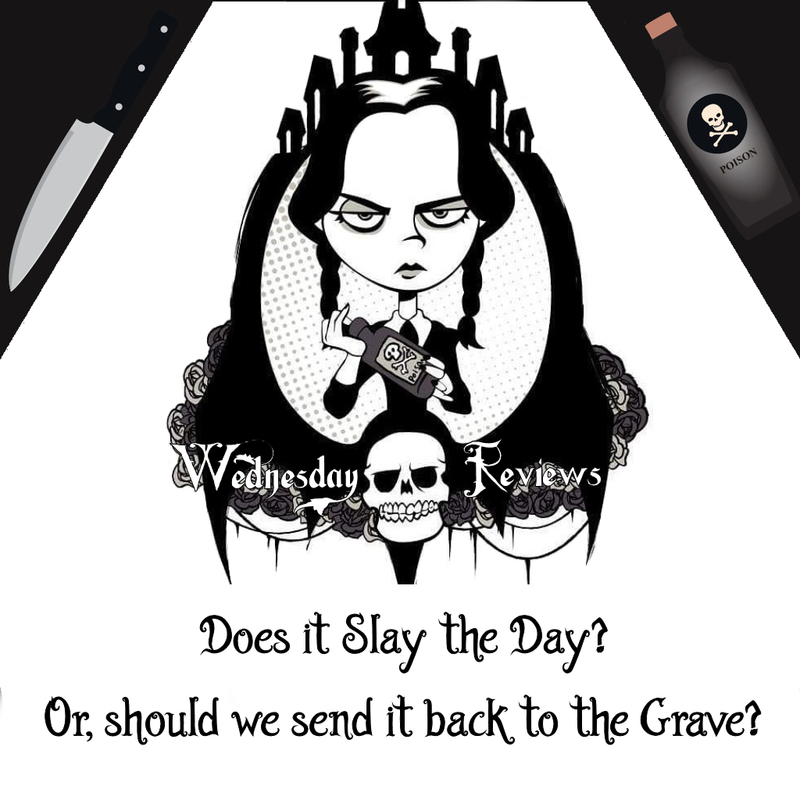 Offer good for 1(one) free bottle of each open stock Zoya Reva, Zoya Kimmy, Zoya Apple, Zoya Tanzy, Zoya Rica and Zoya Faye when code Z22 is applied. 1(one) free bottle of each open stock Zoya Sooki, Zoya Tamsen, Zoya Areej, Zoya Kieko, Zoya Mira and Zoya Breezi when code Z33 is applied. Z22 or Z33 must be entered in order to obtain discount. 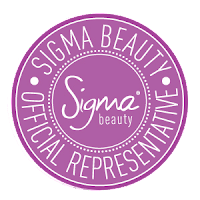 Art of Beauty Inc. will not honor promotions that are submitted after promotion has ended - No exceptions. No exchanges. No returns. Worst case scenario please allow 4-6 weeks for delivery.Comments, videos and pictures posted about this Zoya Nail Polish Offer outside of Zoya.com or zoyanailpolish.blogspot.com are not representative of the opinions of Zoya Nail Polish, Art of Beauty, Inc., Qtica and Qtica Smart Spa and we do not confirm the accuracy of any postings. Customers are responsible for maintaining active accounts. If username or password have been lost we (Art of Beauty, Inc.) are not responsible for restoring accounts or giving out any account information. Standard ground S/H included.